Tide Lines are 4 young guys originally from the Highlands of Scotland. Their roots run from Hebridean Islands to Lochaber through Alness and Lossiemouth to the West End and South Side of Glasgow. Forged from the literature and music of the areas they grew up in, Tide Lines meld romantic, rural life with a record collection of classic American songwriters. Imagine, if you will, a 70’s Springsteen and an E-Street band of bagpipes and electronics! It’s a Tenth Avenue Freeze Out but not one made in New Jersey. 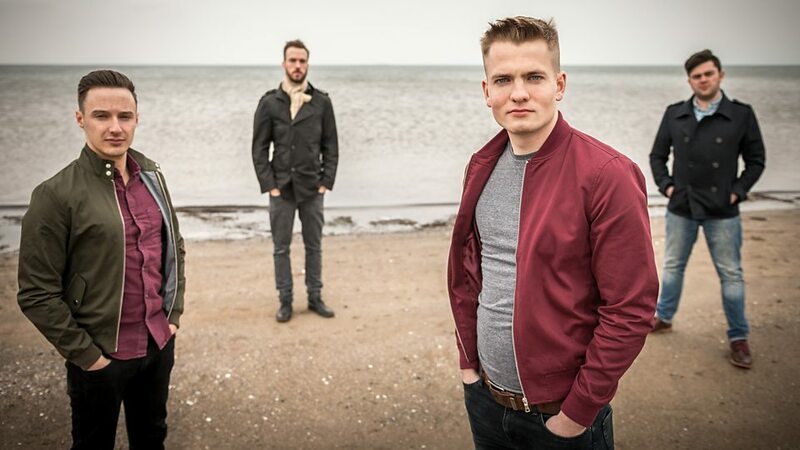 Whilst still in their (very) early 20s singer Robert Robertson and multi-instrumentalist Ross Wilson were a substantial part of Scottish super-group Skipinnish but left to set up their own band in late 2016. 2 became 4 and 4 became Tide Lines when Alasdair Turner (guitar & bagpipes) and Fergus Munro (drums) were recruited. A clutch of digital singles saw a fervent online fanbase grow, consuming in their thousands everything from a limited pressing of their debut record ‘Dreams We Never Lost’ to a rampant demand for concert tickets. Growing a fanbase entirely organically, Tide Lines have racked up nearly 2 million single track streams on Spotify. Their videos play to hundreds of thousands on youtube and their social media accounts number followers in the tens of thousands. Their debut album ‘Dreams We Never Lost’ was released on Friday 1st June 2017. By the following day, while the band were onstage performing at Oban Live, it was rapidly rising to number 14 in the iTunes UK download charts, and subsequently trending on Apple Music. Finally, in March 2018 with the buzz growing and their shows selling out all over the place Mark Radcliffe gave the band their first national radio airplay for single Far Side of the World. Folk in the Barn met and saw them play at Celtic Connections in January. Robert Robertson was introduced to me with the words, ‘meet the best voice in Scotland’… that evening we heard him and the band for ourselves and have to agree.